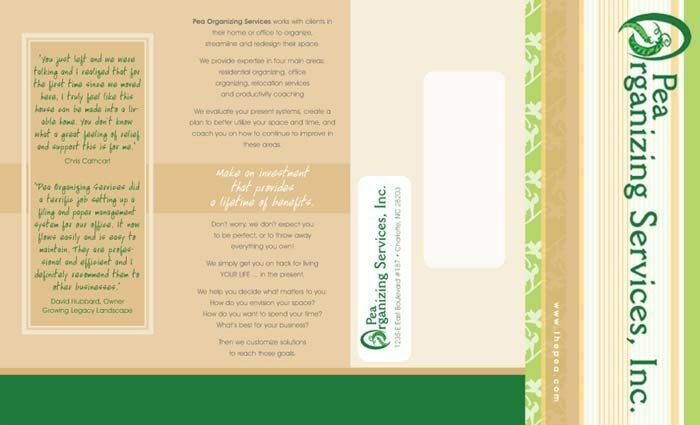 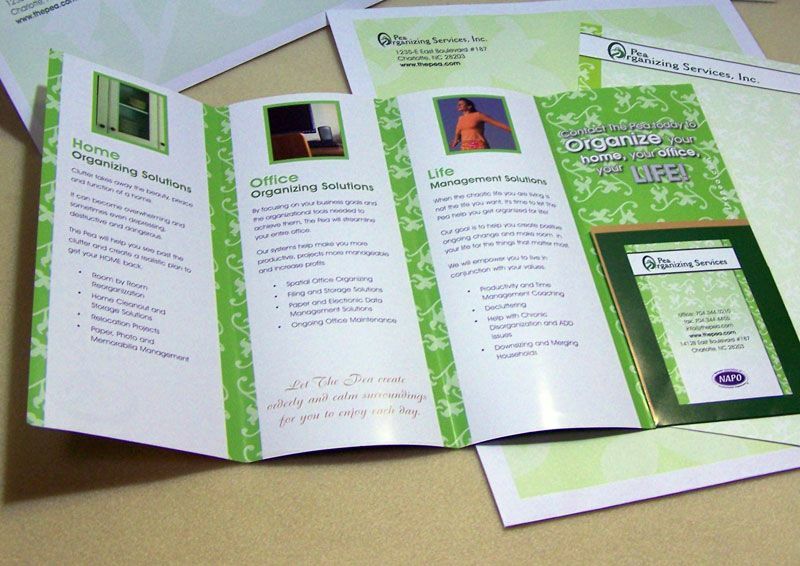 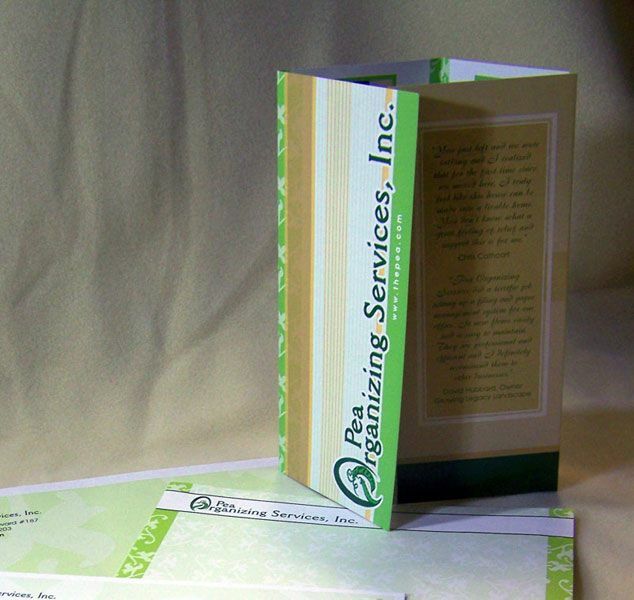 The quadfold layout allowed for the client to have an extra panel for the business card slot and a small pocket folder, as well as an extra panel for mailing, making the piece very versatile in how it can be used. 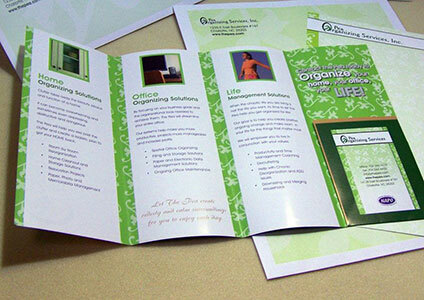 The overall design and color scheme were based around an existing logo. 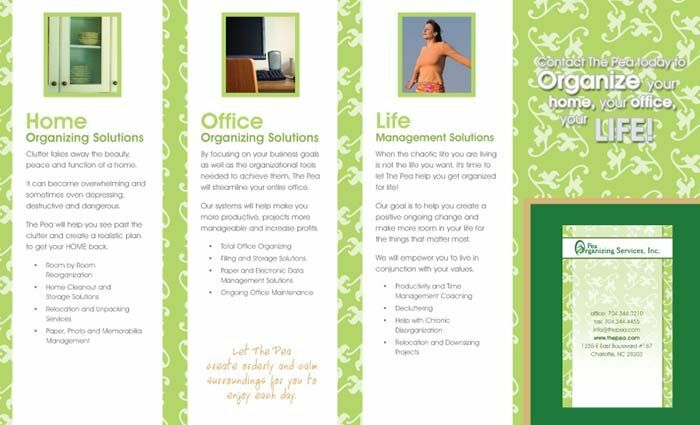 Considering they are an organizing service, the content needed to be well organized, clean and simple with each service having their own panel.